December and maybe January are my favourite months of the year, not least because the weather is cool and I can have hot liquids without combusting. Hotpots, steaming bowls of ramen and hot drinks, just bring them on. 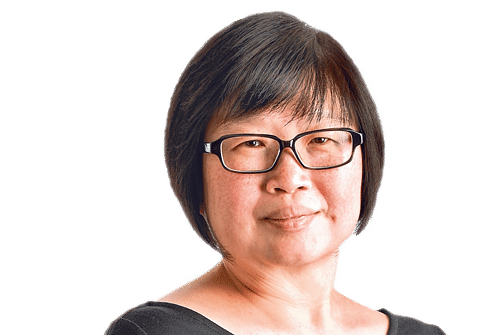 Another favourite cool weather food is Teochew porridge and I like the offerings at Choon Seng Teochew Porridge (Block 43, Cambridge Road, 01-09) an awful lot. A friend took me there years ago but it fell off my radar. Now it is firmly back in my sights and I go there as often as I can. The trick is to get there at about 11.30am, just after they open. Don't bother going for a late lunch. Pretty much everything is sold out by 2pm. 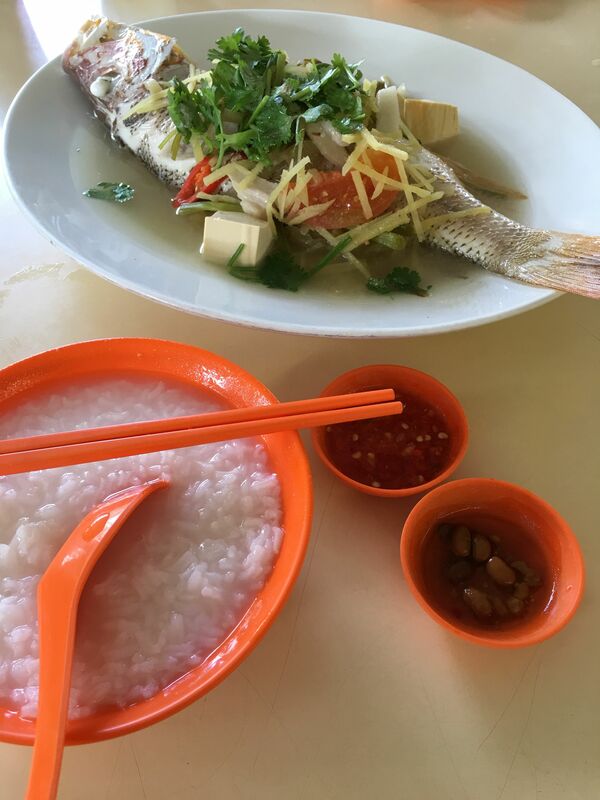 Aside from the usual braised duck, fish cake and long bean omelette that other Teochew porridge stalls also offer, Choon Seng has terrific steamed fish. On my most recent visit, I have a steamed snapper ($45) that only looks plain. The fish has a sweet flavour and a very fine texture. Pieces of lard add depth to the broth and the strips of salted vegetables and fresh coriander leaves add to the flavour too. My friends have fed me very well this year and for someone who eats out all the time, a homecooked meal is something to treasure. "That's it, this is my repertoire," announces a friend when we turn up for dinner. It is quite something, his repertoire. On the table is a spread that includes rib steaks, salad, fried rice and a slab of roast pork with crisp and airy crackling and beautifully juicy meat. I ask how he gets the crackling so crisp and he gives me a startling answer. He parks his car in his house when he comes home from work, opens the bonnet and pops the tray of pork directly on the engine. The dry, residual heat from the car makes the crackling puff up beautifully when he roasts it in the oven later. What would my neighbours think if I stick a tray of meat on my car engine in the HDB carpark? But for crisp crackling, I am willing to do almost everything. Little Gemmill Lane is not so sleepy anymore, what with more restaurants opening there. Maggie Joan's and Delicacy are among the new names. Club Street Social has had a revamp and the new menu is great. Luke's Oyster Bar & Chop House has moved one door down to bigger premises and taking its place is Angeleno (20 Gemmill Lane, tel: 6221-6986). The restaurant is headed by chef David Almany, 31, formerly of Osteria Mozza at Marina Bay Sands, and his ex-colleague, pastry chef Ariana Flores, 34, has joined him there. Both are from Los Angeles and the restaurant is named after the inhabitants of the Californian city. 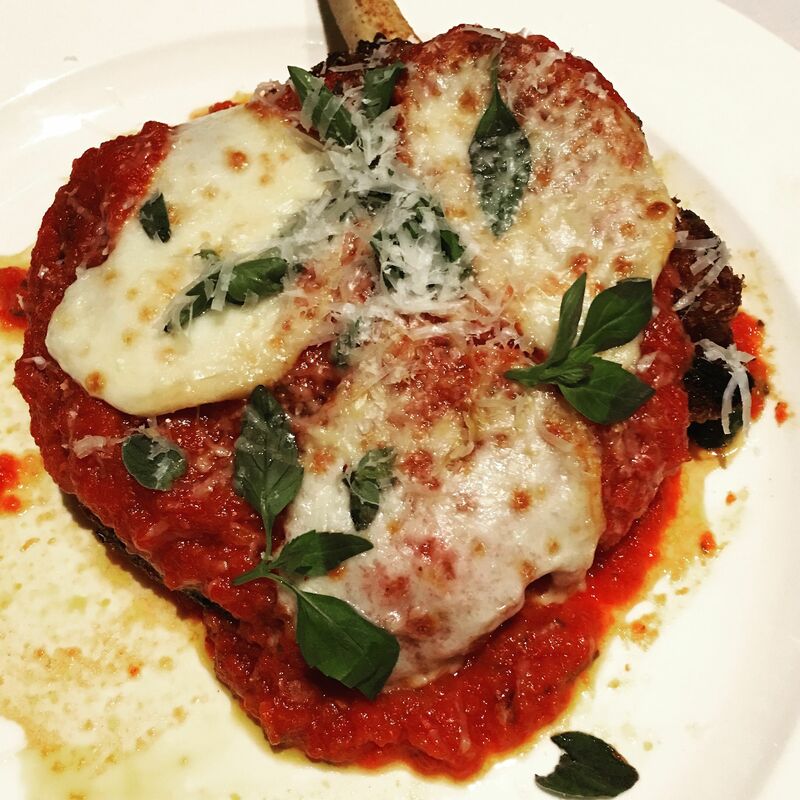 It is supposed to be a "red sauce" joint, a restaurant serving the sort of Italian-American food that that immigrants from Southern Italy adapted in their new country. But the food also has a distinct Californian vibe, from the state's bountiful produce. These include delicata squash in the kale salad ($26) and the Meyer lemon in the Meyer Lemon Semifreddo ($15). My favourites on the menu include Signature Crispy Flatbread ($32) with stracchino cheese sandwiched between super crisp and thin "bread"; Angeleno's Meatballs ($22), loosely packed and so juicy, and sitting on the lightest polenta; and Signature Veal Chop Parmigiana ($75), a huge piece of meat with roasted tomato sauce and melted mozzarella cheese on top. I cannot wait for summer, when tomatoes and corn will be in season. What delights will the chefs conjure up? But I daresay I will be back at Angeleno before that. I know that I should have a game plan for Christmas. It happens every year after all. But year after year, I find myself in the same kind of panic that results in my grabbing random things off the shelves and hoping my friends will like them. 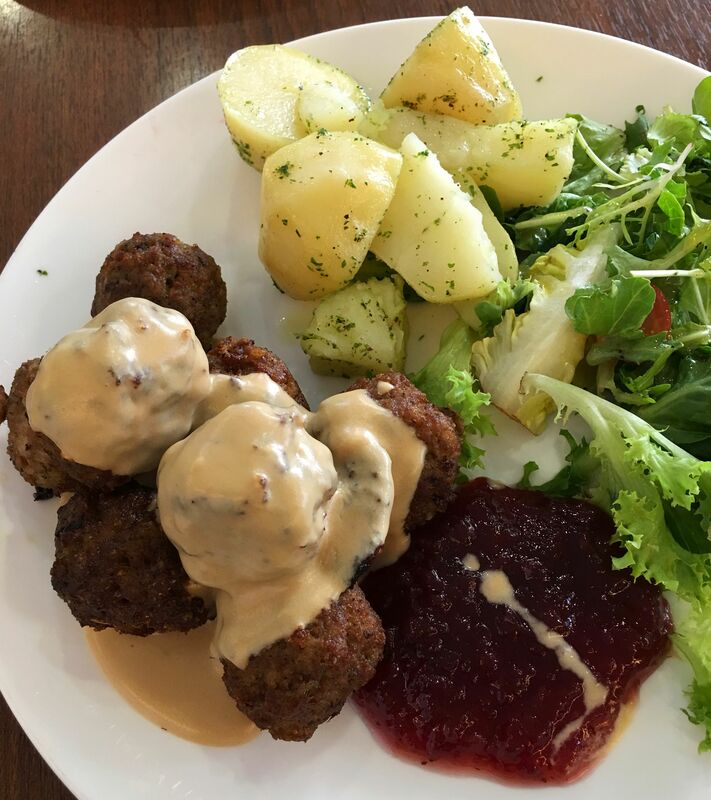 While in one such frenzy, I stop for lunch at Fika (01-20 Millenia Walk, tel: 6336-7234) and have my usual: Swedish meatballs ($19.90). It is a simple, hearty dish that never fails to please. The meatballs are a good size, not too tightly packed, and juicy to boot. The thick, paste-like gravy is not my favourite. I prefer the lingonberry jam served on the side. Peasant that I am, I finish all the parsley-flecked boiled potatoes. Suitably recharged, I resume the mad routine. Mark my words, it will happen again next year. Tuesday is the shortest day of the year, and this year, I end the Winter Solstice on a sweet note. 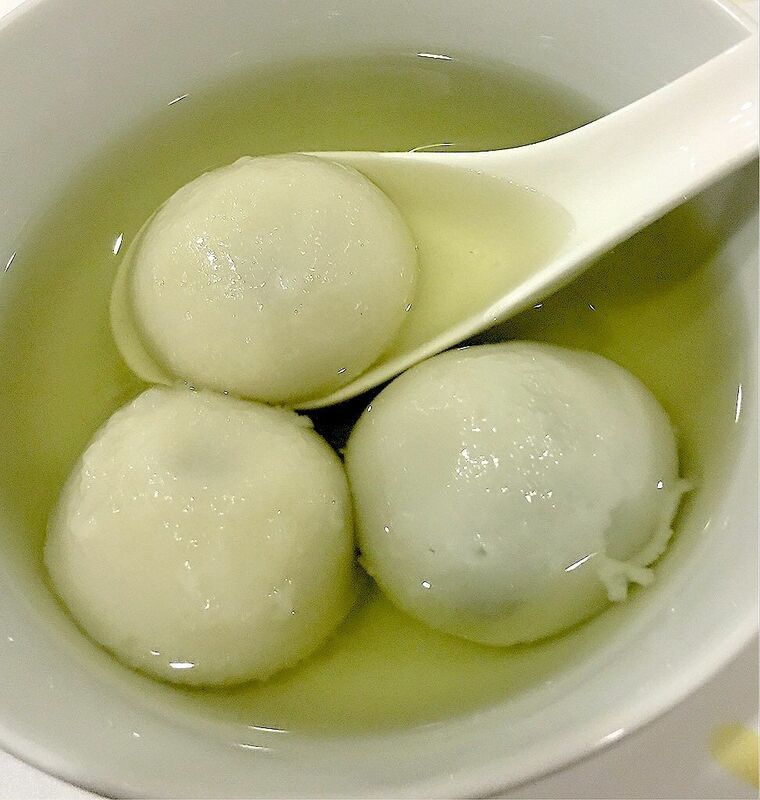 After dinner, we gather at a friend's place and have tang yuan or glutinous rice balls filled with black sesame paste in sweet ginger soup. The winter solstice marks the closing of the year. We are just days away from the new one. I am hoping for happiness and wealth but will settle for peace of mind.